Beer Benefits For Hair. There is nothing like a cold mug of beer on a hot Sunday afternoon or after a long day of work. Pop it open, pour it in a glass and unwind, taste of good times. But did you know that there is more to beer than relaxation and to be in high spirits, it is an excellent source of protein for your hair. Yes beer does wonders to your hair. Beer generally consists of hops and malt, both of which are excellent sources of protein, which are needed to strengthen and repair dry damaged hair caused by a host of different reasons. In addition to protein, beer consists of many other amazing nutrients such as magnesium, potassium, phosphorous, Vitamins (particularly biotin) and maltose. Biotin prevents hair loss and helps promotes healthy hair growth and also keeps dandruff away, while maltose helps smoothen and tighten up hair cuticles so your locks appear more shiny and full of life. Come let’s find out some of these amazing benefits of beer on hair. Beer is made with malt, which is a good source of protein. Malt helps to make your hair shine. If you have dull and lifeless hair, give a beer rinse a try and you will have the luster that you have always wanted. Beer consists of active yeast, which helps in plumping up the cuticles of hair that helps in adding the volume. It will add volume to your hair by making them bouncy. Being rich in protein, beer helps in repairing the hair damaged due to excessive use of chemicals, heat and styling. A simple rinse can strengthen the locks. Moreover, it nourishes the hair silently. Beer is rich in Vitamin B12, copper, phosphorus, magnesium, iron and anti-oxidants. This nutritious concoction promotes hair growth. Not only this, alcohol is known to fasten the blood movement. 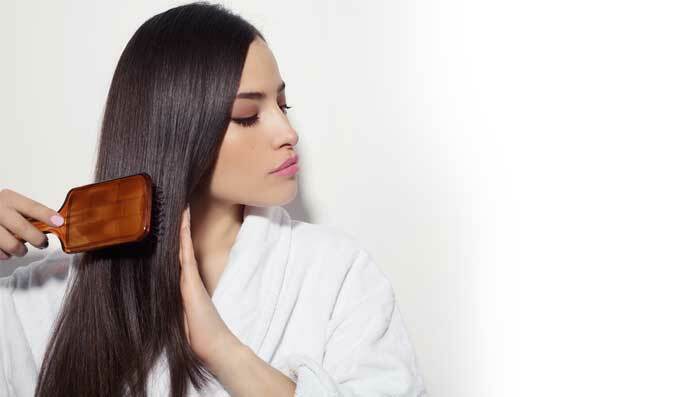 As it improves the blood circulation of the scalp, it helps new hair to grow. Beer has an acidic PH, which helps in getting rid of oily and greasy scalp. It controls the oil production of the scalp and removes extra pollutants from it. Beer is a great cleansing agent, as it isn’t hard on the scalp and since it checks the oil build up, with regular use you will notice that your hair does not require shampooing as it used to. Beer is a great conditioner and helps to control the frizz in the hair by closing the hair shaft. After the shampoo, use a mixture of warm flat beer and some olive oil as a conditioner instead of your regular chemical-rich conditioner. It will make your hair soft!